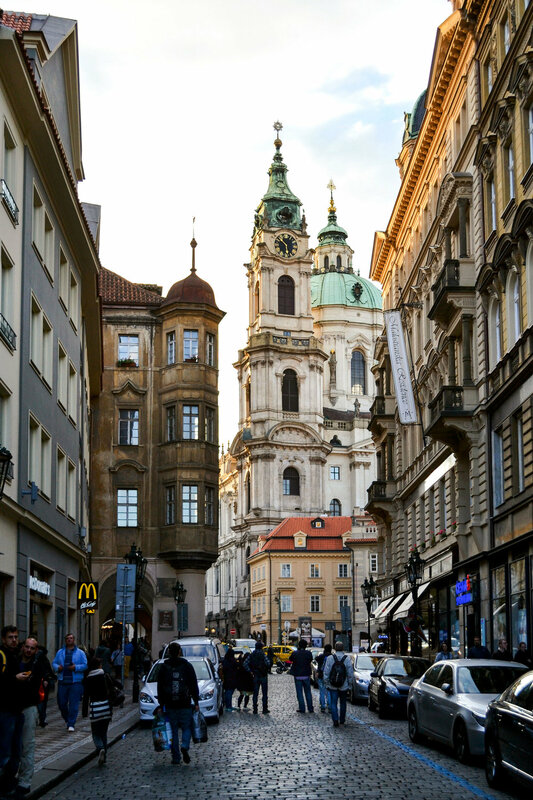 If anywhere else in Europe wanted to rival Paris as a "city museum," it might as well be Prague. 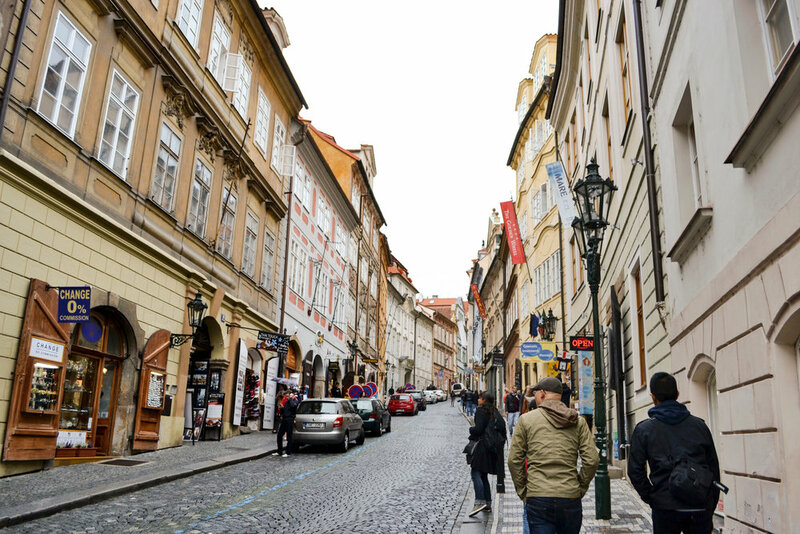 The central area of the city was almost something out of a Disney fairytale at times with its cobblestone streets and castle and cathedral up top the hill. 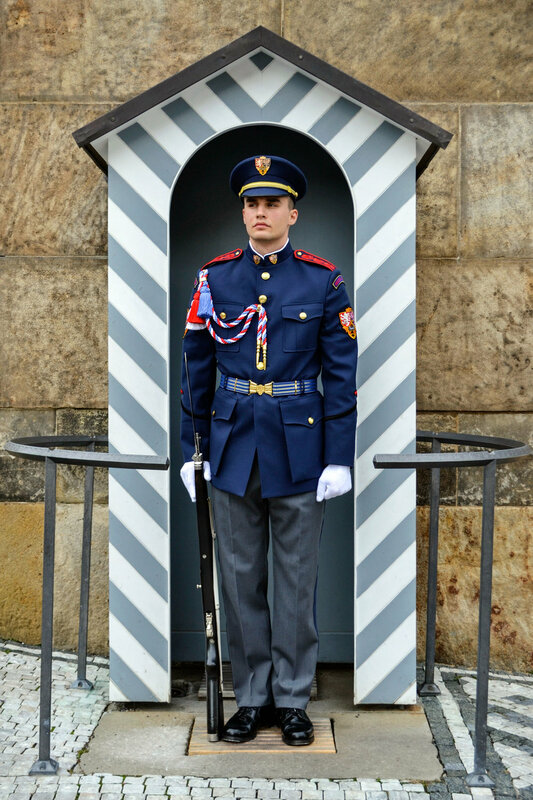 I visited Prague while traveling around Europe with friends in 2012, and we arrived by train from Berlin. 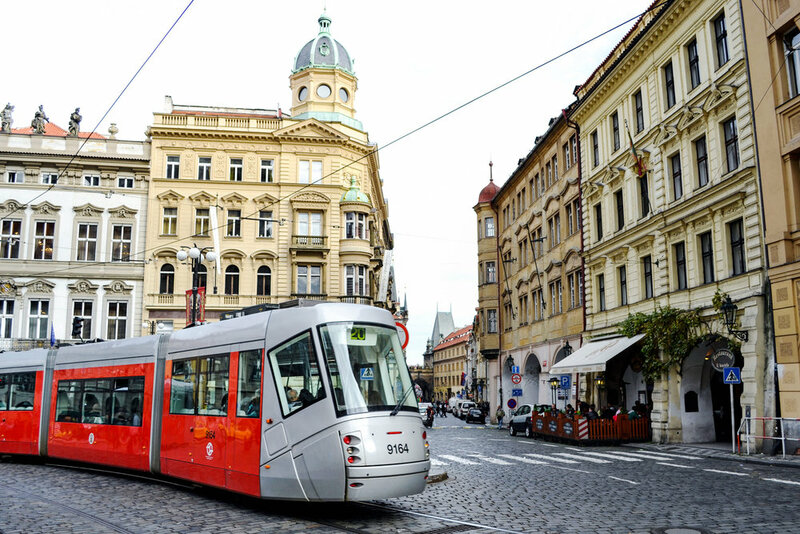 Figuring out transportation was immediately challenging due to a lack of English explaining the train system and the sudden switch to Czech crowns from euros. We managed to figure it out, settling into our room at the Central Prague Hotel, an affordable hotel in walking distance to most of the popular sight-seeing spots. Unfortunately our first meal didn't please us. 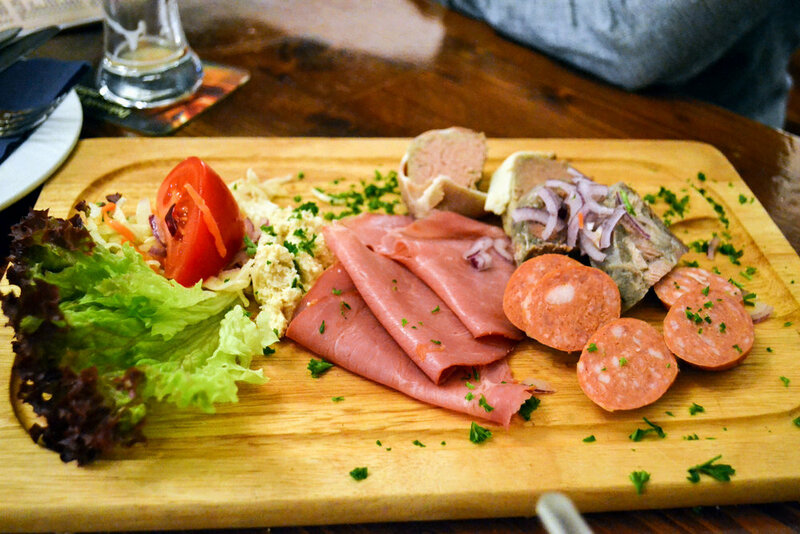 We tried out Lokál Dlouhááá, an alluring beer hall type of place. We probably just ordered the wrong dishes as this place is quite popular, but dishes like the Talián sausage and beer cheese (hey, it sounded intriguing!) didn't exactly go with our palates. The beer itself though was impressively cheap, about $1.00USD which made it even cheaper than water! We started the next day grabbing a bite at one of the food stands in Old Town Square, which were in the same area as the famous Church of Our Lady before Týn [CZ]. We picked up some ham, bread and sauerkraut potatoes, but struggled to order and ended up with a huge chunk of ham and paid way more than we expected to. 0-2 on food at this point, but our quest to find good food ended up with a win with our last meal (bottom)! 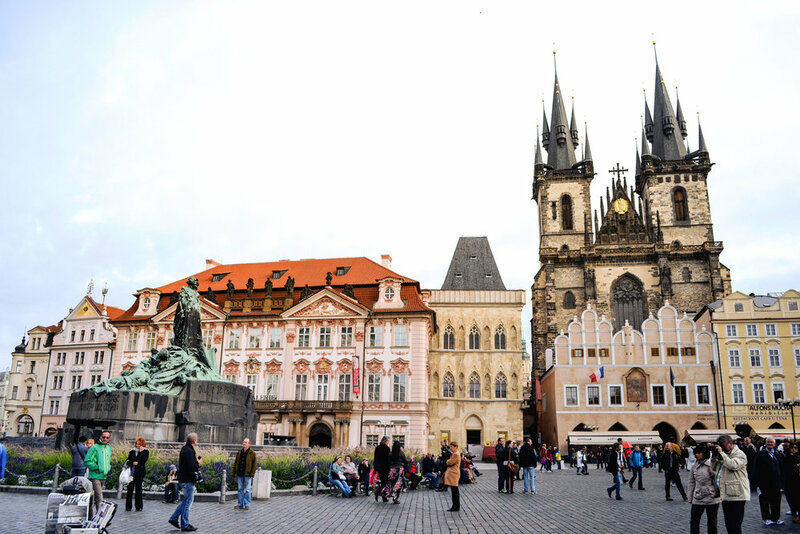 Walking from the Square to the castle, we passed by other notable attractions like the 600 year old Prague Astronomical Clock (Pražský orloj) and Colloredo-Mansfeldský palác, an old palace that had funky art installations in the courtyard right before the Charles Bridge (Karlův most). There were a variety of artists and street performers on bridge, and the views from it are amazing, especially at sunset (pic at top). There are some hills to walk up, but it's worth it. Deciding to explore the town below after hanging out in gardens watching a robotic lawnmower keep the grass immaculate, we walked the streets and checked out a small festival. I'm not sure if it's an every day event, but there were folk singing groups, metal sculptors and trdelník doughnut cake stands amongst others in an area near the Charles Bridge. In the evening, we went on a segway tour with Prague Segway Tours. The cobblestone streets and hills take some getting used to especially if it's your first time riding one (it was mine). Our guide was friendly and took us up the hill and back down, explaining buildings, sculptures like the Crawling Babies, the Lennon Wall and the country's history, focusing particularly its former relationship with the old Soviet Union. At the end of the tour, we asked our guide for a recommendation on some authentic Czech beer. He said a restaurant back at the top of the hill with a beer called Matuška would not disappoint, so we booked it back up before they took their last seating. Getting to the restaurant wasn't so smooth, however. We mistakenly sat at Bellavista, an outdoor restaurant overlooking the city. Amazing, or so we thought. After realizing our mistake when they told us they didn't serve the beer, we got up and left before we ordered to some less than thrilled servers. After searching the nearby area, we found the restaurant but walked into what seemed like a private banquet party - we felt the stares of about a hundred people. Walking through to the other room, we found some empty seats, sat down and had the best last dinner in Prague that we could've asked for. Without a doubt the best food we had in Prague. Located in a converted 17th century monastery, next to the Strahov Monastery Brewery, the ambiance is like a casual beer hall with bench seats. We ordered 2 appetizers: Piquant pickled Heremelin cheese and the Prague butcher platter. Each of us got different main dishes but they were all excellent. And of course the Matuška beer - I'm no beer sommelier but it was extremely smooth and one of my favorite beers I've ever had. Period.